As a penetration tester you will come across with systems that are behind firewalls and they are blocking you from getting the information that you want.So you will need to know how to avoid the firewall rules that are in place and to discover information about a host.This step in a penetration testing called Firewall Evasion Rules. Nmap is offering a lot of options about Firewall evasion so in this article we will explore these options. This technique was very effective especially in the old days however you can still use it if you found a firewall that is not properly configured.The Nmap offers that ability to fragment the packets while scanning with the -f option so it can bypass the packet inspection of firewalls. 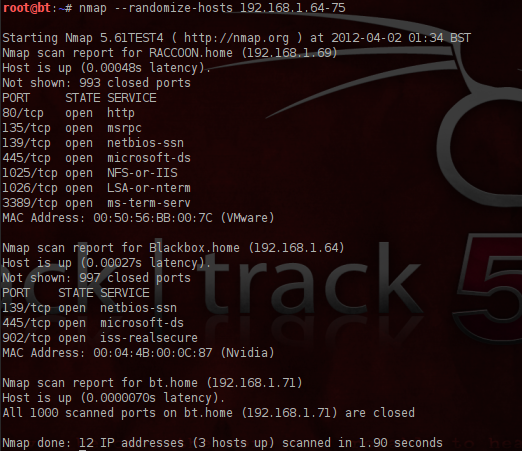 In the next image we can see that Nmap is sending packets 8-bytes size when we are doing a scan with the -f option. Nmap is giving the option to the user to set a specific MTU (Maximum Transmission Unit) to the packet.This is similar to the packet fragmentation technique that we have explained above.During the scan that size of the nmap will create packets with size based on the number that we will give.In this example we gave the number 24 so the nmap will create 24-byte packets causing a confusion to the firewall.Have in mind that the MTU number must be a multiple of 8 (8,16,24,32 etc). You can specify the MTU of your choice with the command –mtu number target. In the next image we can see that in the firewall log files exist 3 different IP address.One is our real IP and the others are the decoys. You need to have in mind that the host that you will use as decoys must be online in order this technique to work.Also using many decoys can cause network congestion so you may want to avoid that especially if you are scanning the network of your client. This technique allows you to use another host on the network that is idle in order to perform a port scan to another host.The main advantage of this method is that it very stealthy because the firewall log files will record the IP address of the Zombie and not our IP.However in order to have proper results we must found hosts that are idle on the network. Metasploit framework has a scanner that can help us to discover hosts that are idle on the network and it can be used while implementing this type of scan. We can see the effectiveness of this scan just by checking the firewall logs.As we can see the log files record the IP address of the Zombie host (SRC=192.168.1.69) and not our IP address so our scan was stealthy. A common error that many administrators are doing when configuring firewalls is to set up a rule to allow all incoming traffic that comes from a specific port number.The –source-port option of Nmap can be used to exploit this misconfiguration.Common ports that you can use for this type of scan are: 20,53 and 67. Many firewalls are inspecting packets by looking at their size in order to identify a potential port scan.This is because many scanners are sending packets that have specific size.In order to avoid that kind of detection you can use the command –data-length to add additional data and to send packets with different size than the default.In the image below we have changed the packet size by adding 25 more bytes. The size of a typical packet that nmap sends to the target is 58 bytes as you can see in the image below. With the command that we have used –data-length 25 we changed that value to 83 in order to avoid being discovered by firewalls that will check for the default packet size that nmap generates. 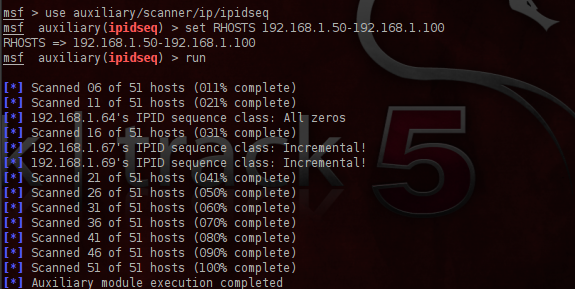 In this technique you can scan a number of hosts in random order and not sequential.The command that you use to instruct Nmap to scan for host in random order is –randomize-hosts.This technique combined with slow timing options in nmap command can be very effective when you don’t want to alert firewalls. Another method for bypassing firewall restrictions while doing a port scan is by spoofing the MAC address of your host.This technique can be very effective especially if there is a MAC filtering rule to allow only traffic from certain MAC addresses so you will need to discover which MAC address you need to set in order to obtain results. Specifically the –spoof-mac option gives you the ability to choose a MAC address from a specific vendor,to choose a random MAC address or to set a specific MAC address of your choice.Another advantage of MAC address spoofing is that you make your scan more stealthier because your real MAC address it will not appear on the firewall log files. Checksums are used by the TCP/IP protocol to ensure the data integrity.However sending packets with incorrect checksums can help you to discover information from systems that is not properly configured or when you are trying to avoid a firewall. You can use the command nmap –badsum IP in order to send packets with bad checksums to your targets.In the image below we didn’t get any results.This means that the system is suitable configured. We have seen that Nmap offers a variety of methods that it can be used to avoid a firewall that exists on the network that we are scanning and to get proper results from the target host.The problem in many of the cases that we have seen is the bad configuration of Firewalls that allowed us to get results from the target.So in a network that have IDS and firewalls properly configured many of the techniques may not work.Every situation is different so you need to decide which one will work for you. thanks a lot. your information help to me so many. especially in nmap the -f option is very good tip. Fantastic Post on Nmap Firewall evasion here, highly recommend the read, all of these and more I perform on most pentests however, the best protection against these is a good IPS.